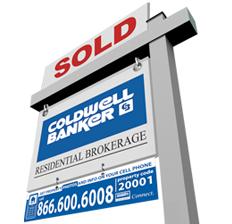 Just think about buying your first home can seem like an overwhelming process. Mortgage rates, taxes to closing costs, there’s undoubtedly a lot to consider. Buying a new home will most likely be the biggest investment of your life, so it’s essential that you get educated about the whole process before you begin. The more you are informed about the process, the more likely you’ll be able to get the home of your dreams at an affordable price. We’ve put together six quick tips that will help you achieve your goal of homeownership. When searching for a home you’ll have several options to choose from. These include single-family homes, townhouses, condos, and more. Each type of property has its benefits or its drawbacks, so before starting your search, make sure you narrow down which property types will best suit your needs. Get in touch with your preferred home mortgage specialist. Ask to be pre-approved for a home loan. This will help give you an idea of how much you could afford to pay. It’s crucial to find out the total monthly cost, not only your mortgage payment. This will include homeowner’s insurance, taxes, flood insurance (if applicable), and association dues (if applicable). The easiest way to find out is once you find a property you like, get in contact with your local insurance agent and ask for an estimate. Also, there is the upfront cost of purchasing a home and It’s important to take that into consideration when making calculations. Those closing costs include lender origination fees, settlement fees, title, and taxes, as well as prepaid items like insurance and association dues. Don’t take inspections for granted, they are here to help you. They might seem a bit pricey at first but having the satisfaction of knowing that your future home doesn’t have major structural, electrical or plumbing problems will be well worth it in the long run. Once inspections are complete its time to negotiate. If the inspection reported any major problems that are too extensive to fix, you will have the option to back out of your contract before the inspection period ends. Otherwise, you will have two options; ask the seller to fix it or ask the seller for a credit to fix it yourself after the closing has taken place. 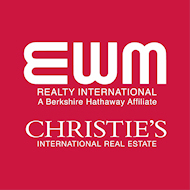 It doesn’t matter if you are a first time home buyer or have bought several properties before, the home buying process is always very extensive. 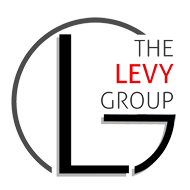 That’s why The Levy Group is here to make sure the process goes as smoothly as possible. They give you guidance and advice to make sure you are taking the right steps to getting your dream home at the right price.